Chili peppers that we grow at home have a nice colour, texture and the most important thing, they have an amazing taste. You can grow them in the garden but they are great for pot planting as well. Chilli peppers are found in many varieties. Some plants produce fruits with quite mild flavor and there are certain types that are considered super hot. Well known chillies are for example Cherry pepper, Cayenne, Jalapeño, Habanero etc. Their strength is measured in scovilles. There is very mild one called Yellow wax pepper which can reach up to 500 scoviles and there is Datil reaching up to 300.000 scovilles. You can try with different types and plant them at the same time. Here are some helpful advices on how to grow them at home. 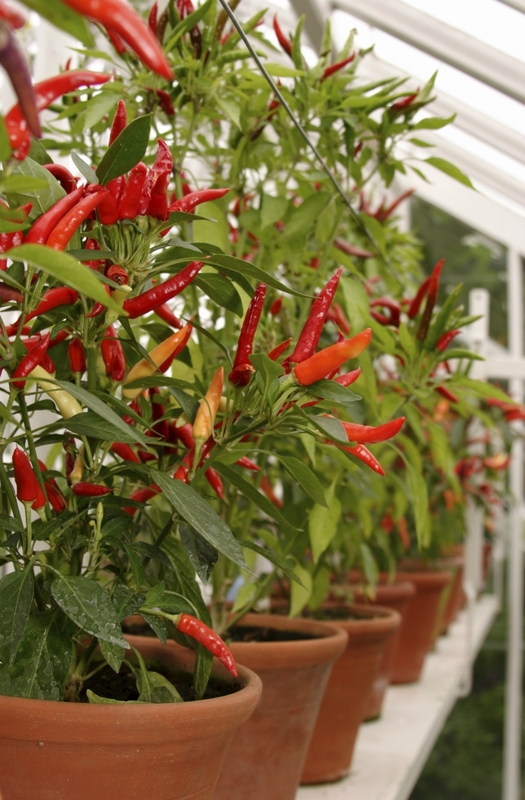 If you’ll plant chilli peppers in your garden, try to find a plot that gets full sun. You can grow them outside from May or when all the frost danger is over. If you decide to plant the seeds you can start few months earlier indoors. The best time to do the planting would be in the morning or afternoon. Choose a sunny day though.